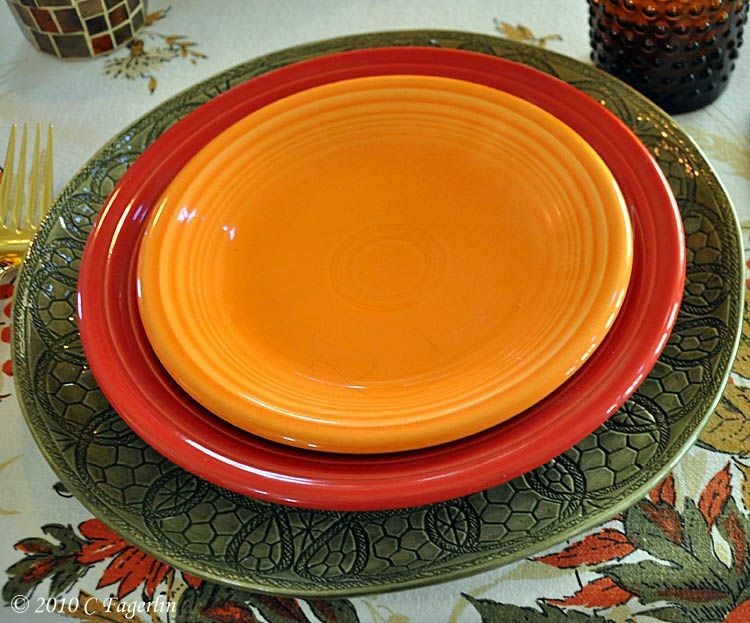 Join everyone over at Between Naps On The Porch for another Tablescape Thursday! It's Fall on The Little Round Table. The witches have all gone away for another year and calm has returned to my kitchen. Just settle back and relax, I'll pour you a glass of tea or some crisp Chardonnay. Details on the elements of this table at the end of the post. 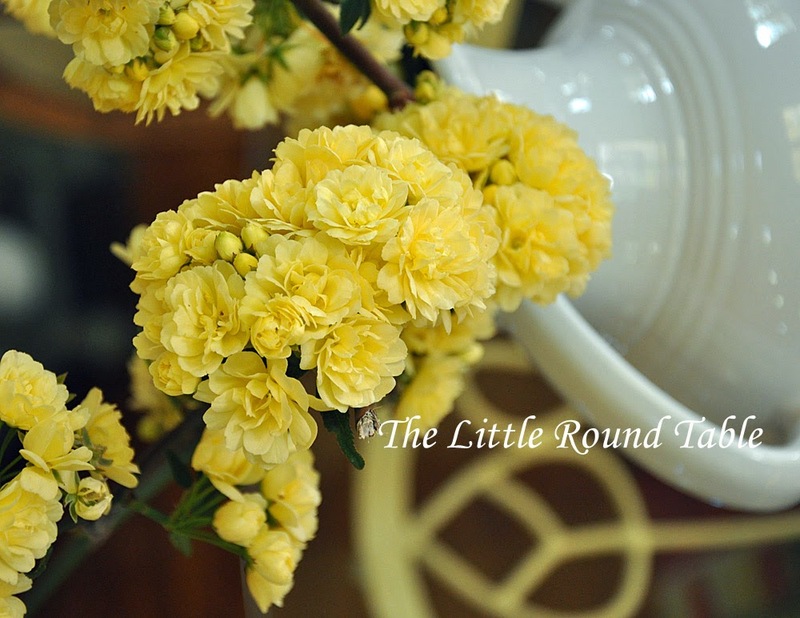 Thanks for coming by again this week for my latest tablescape! I always like to visit your sight; you have the most interesting elements. I love your mushrooms in your centerpiece. They totally complete it. And your corn on the cob candles, so perfect! I must not shop at the right times to find the treasures you do! This is a delightful harvest of beautiful color. 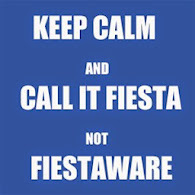 Your Fiesta ware sets the stage for any mood. 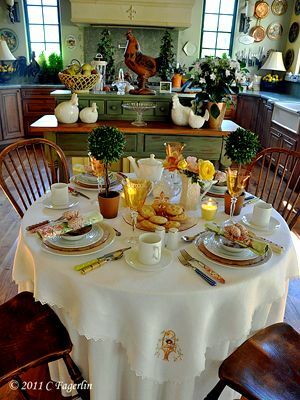 Terrific tablescape as always. Fab as usual! 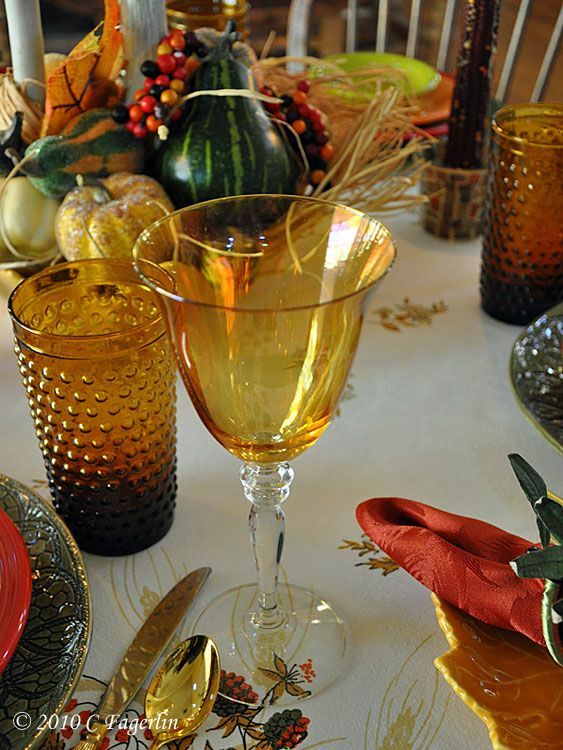 Love the goblets and the ceramic mushrooms... very unique! 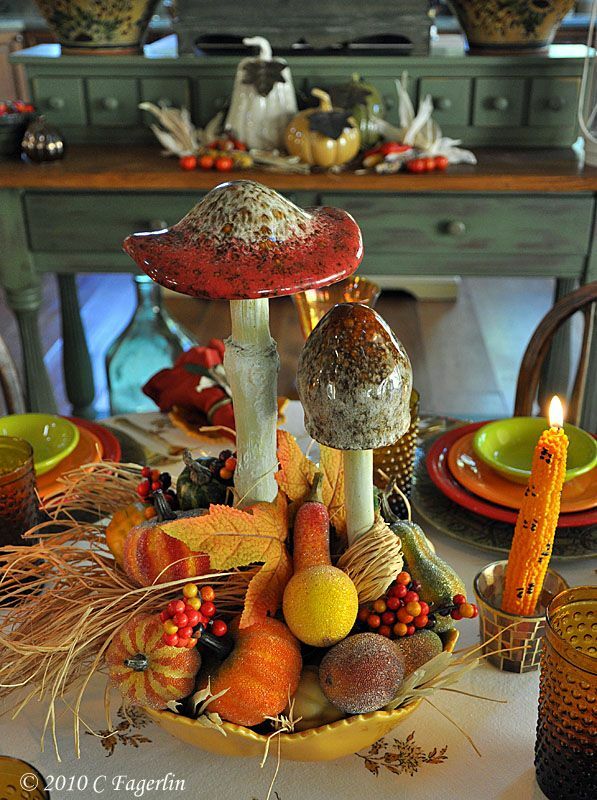 There is such a fun and whimsical air to this table setting with the mushrooms added. 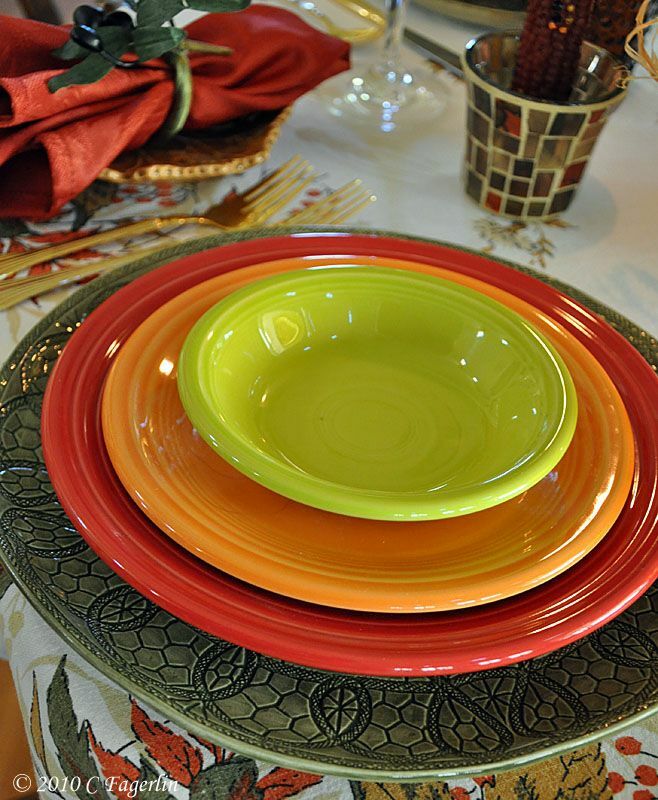 The fiesta dishes are mixed in a very happy color scheme. This is the kind of table that I like best. This is one of your prettiest! 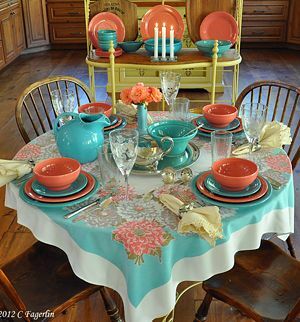 I love the colors of the fiesta ware, especially against that tablecloth. Those corncob candles are just adorable. Everything looks fallish and lovely. Very pretty as usual. Love the corn candles. My jaw dropped open when I saw your tablescape! Wow! Love all of the interesting elements to look at! BEAUTIFUL! 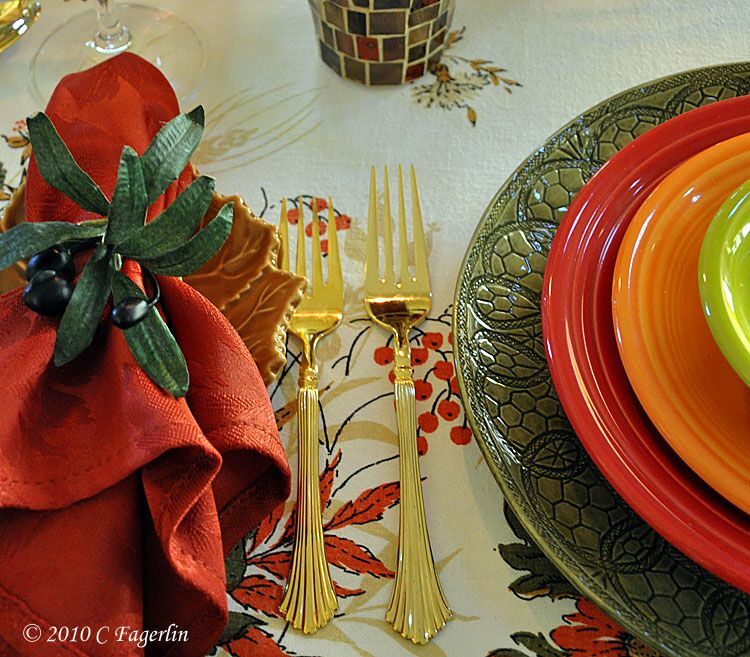 I love the colors and those darling mushrooms, and that tablecloth that I swear looks vintage. Great job. 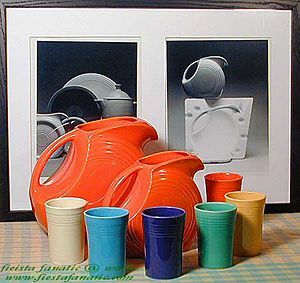 I have lots of Fiestaware, but not the Lemongrass color and ooooh, do I love it. Oh, and I've just become your newest follower. Glad I found you! I love those indian corn candles and those amazing mushrooms. 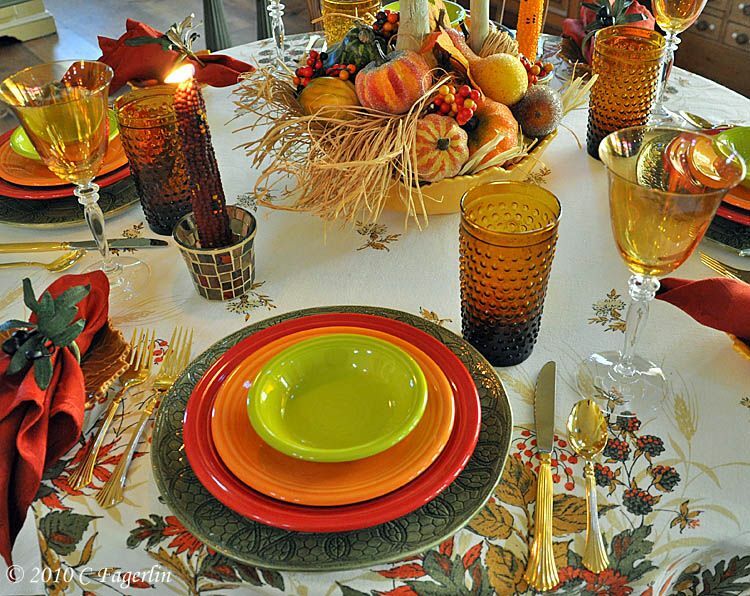 What a pretty combination of color on your table. It looks so totally different. 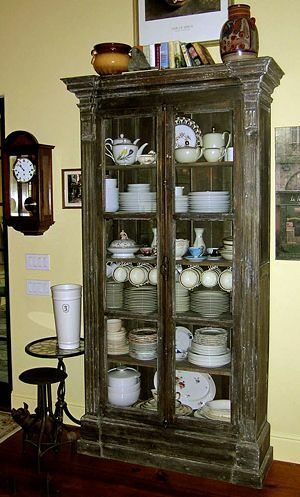 Love your kitchen and your table setting. What a change from last week! This is so pretty! 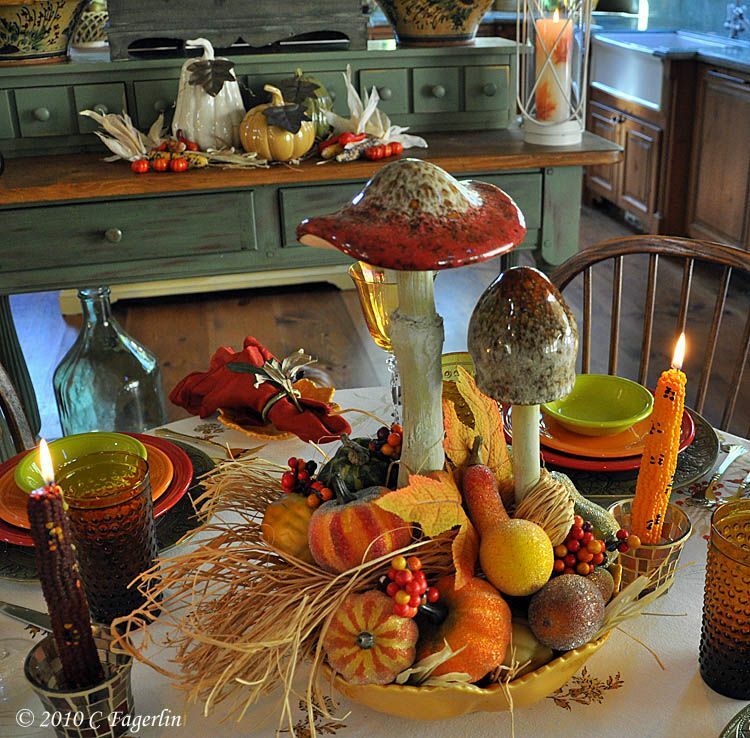 I love the mushrooms in the centerpiece and the BIG, beautiful bowls on the table in the background! 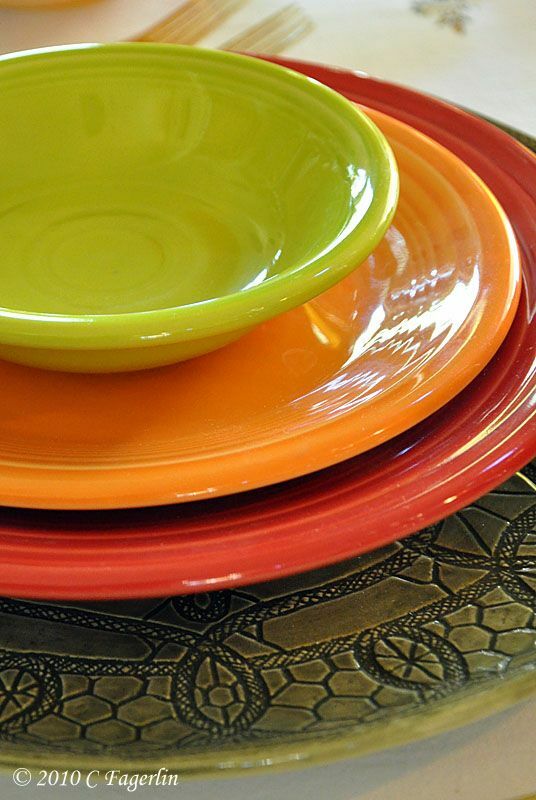 The colors of the dishes are so pretty too! I think ANYTHING you put in this fabulous kitchen would be gorgeous!!! XO, Pinky PS, please come see my table! What gorgeous chargers, they're so commanding, an odd description, I know, but they're so powerful. But then you have the whimsey of the Indian corn candles and those fun mushroom pieces, you half expect a gnome to be hiding behind them. Great table! I just love all the details of this centerpiece and the entire tablescape. Those mushrooms are awesome. 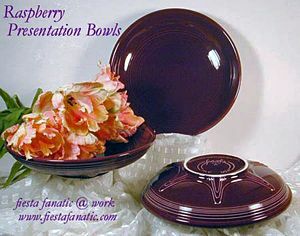 You always do such an amazing job with all your fiesta ware! So fun!! 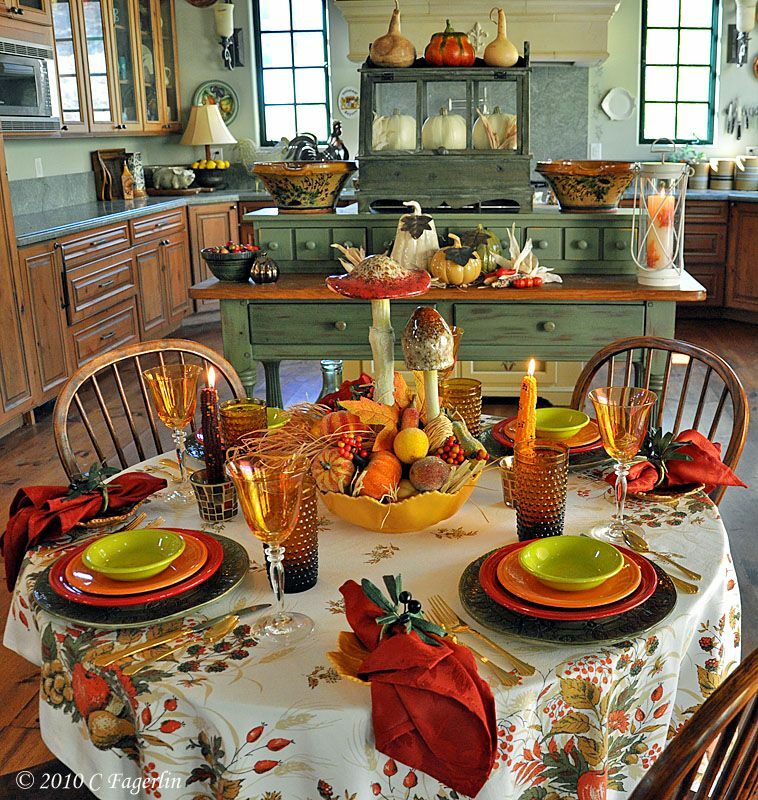 YOur kitchen looks Thanksgiving ready... just breathtaking. 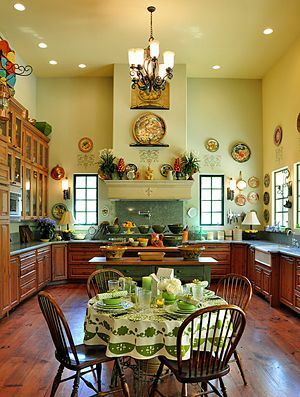 I think you have one of my all time favorite kitchens! What a happy table. 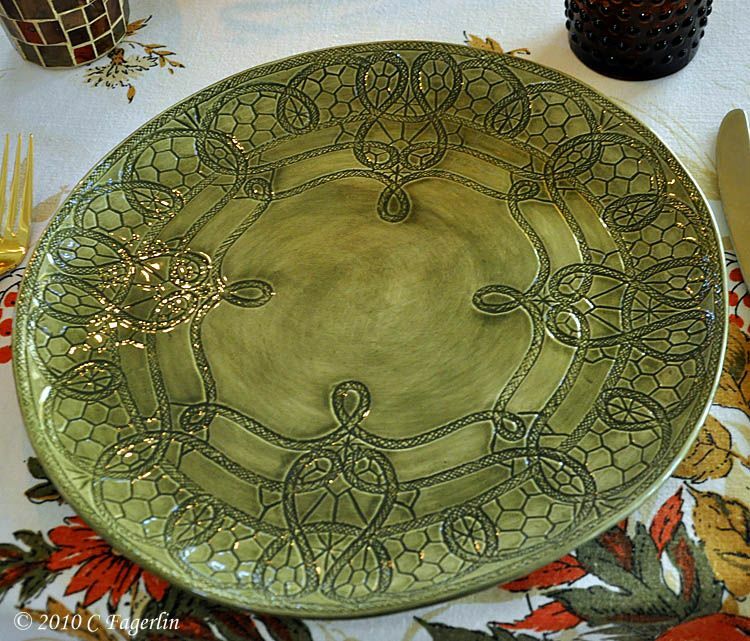 Lots of great fall colors with a little splash of that great citron green. 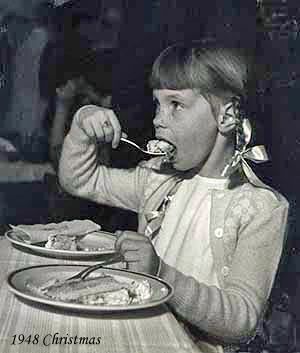 Is that a vintage tablecloth? 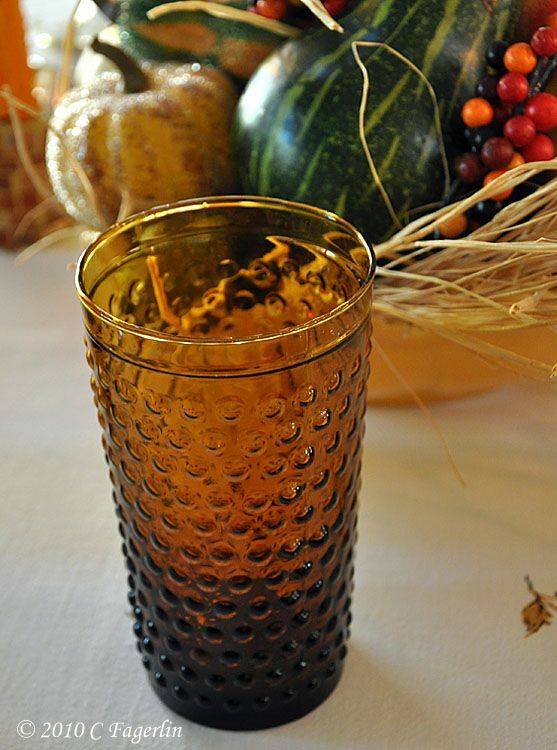 It's the perfect background for your table. The centerpiece makes me smile. Those mushrooms are such great piece. And you thought to add them to a bowl full of fall! Very creative and so attractive! Corn candles... I would love these! They pull all the colors together and again, sooooooo delightful. 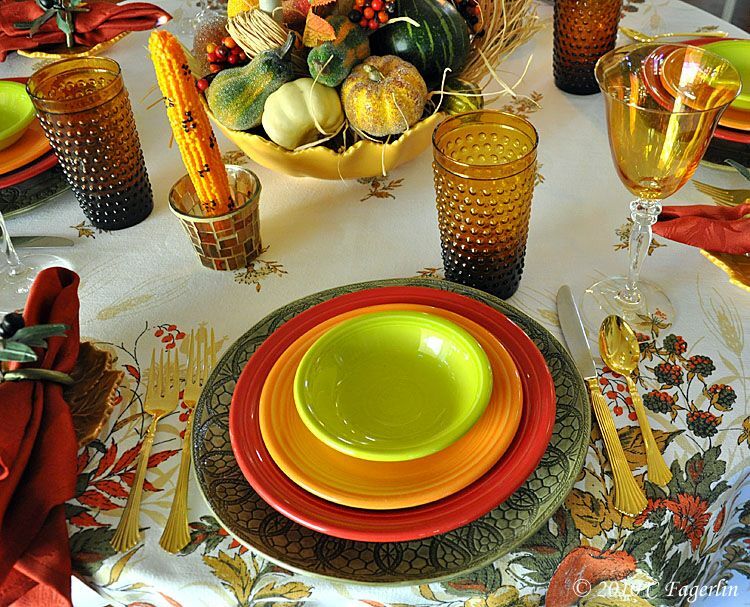 Candles usually sit in the background of a tablescape, but yours are attention worthy! 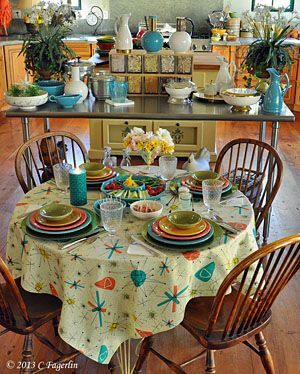 A wonderful and fun table in a beautiful kitchen. 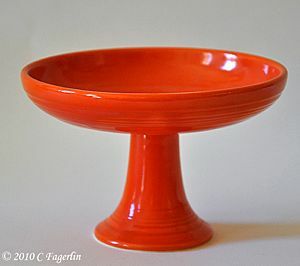 Wow those toadstools are amazing pieces.the chargers are really great. 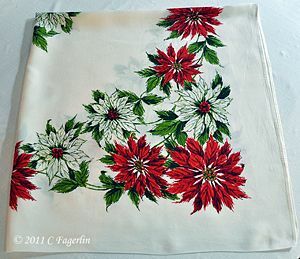 another beautiful tablecloth. 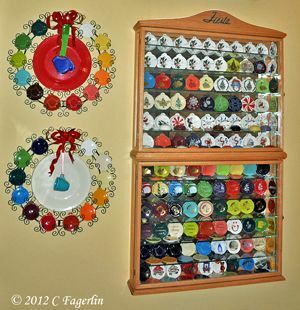 Love it all..
Hello, I have to say I absolutely love your kitchen! Love the center! You always do a wonderful job! 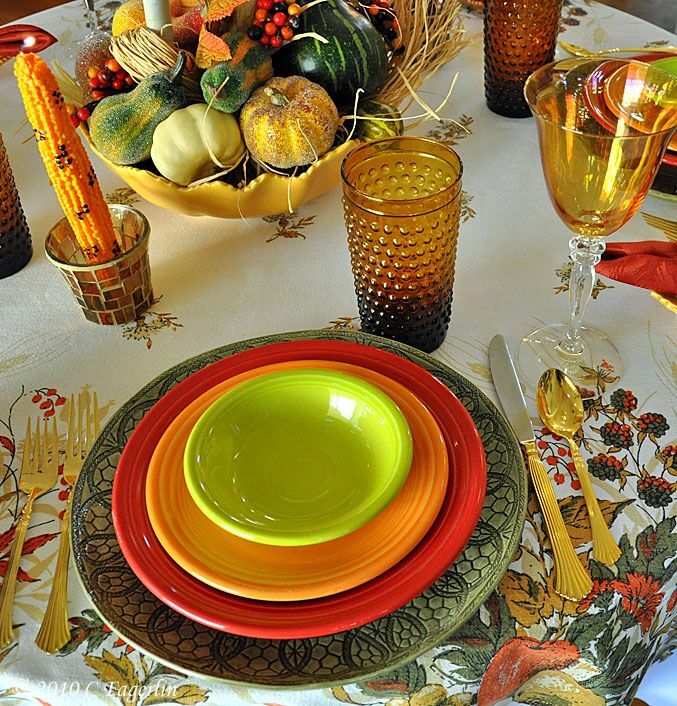 The colors are vibrant as usual and love the honeycomb pattern in the plates - the corncob candles are very whimsical! 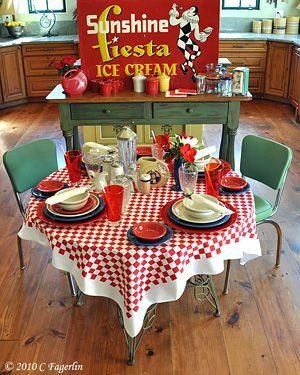 I always enjoy seeing another of your gorgeous tablecloths and the way you show it of with your Fiesta and other pretty elements. 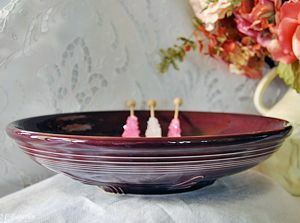 Such cute corncob candles this week! I'm glad to see that you've regained control of your kitchen and given the witches their eviction notice until next year. 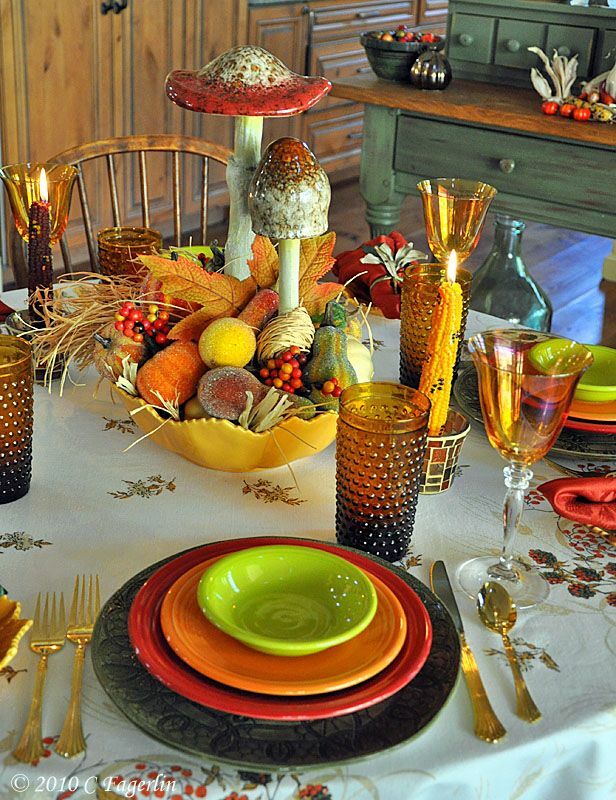 This table really sets the stage for the thoughts of harvest and giving thanks that November brings. The mushrooms are a fun twist in the midst of the traditional veggie bounty! 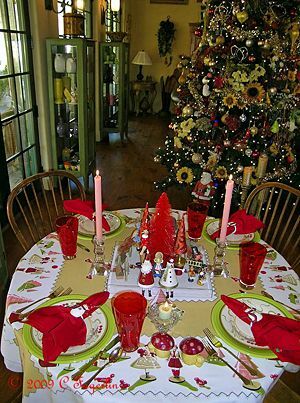 I really like the tablecloth...it drapes just right on TLRT! Lovely,and Chopin playn' for background music,priceless! Thank you all for coming by for a bit of quiet time in the kitchen. :-) Such a change from all the chaos of goblins and witches of last week. 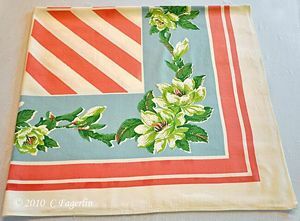 The tablecloth is vintage, it is a Fallani and Cohn. 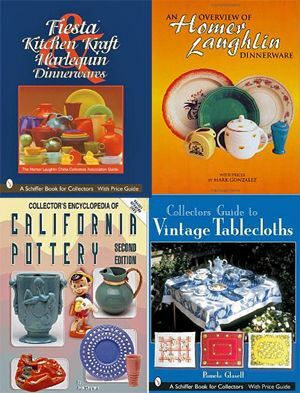 Several well known designers did designs for this company including Tamis Keefe, Luther Travis and The Ryans. 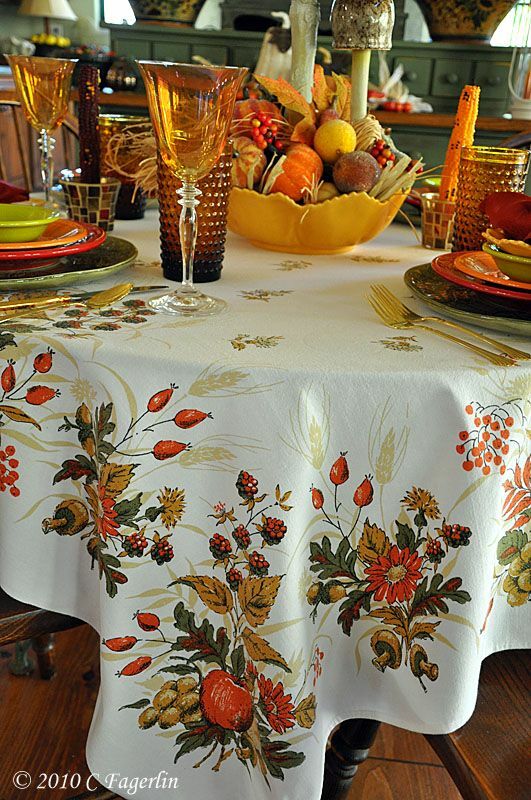 Tune in for Tuesday's Tabletop Tuesday 'scape....an alternate look at "fall" with some unusual colors included. More of a warm weather Fall look from here in California. It was 80F and glorious here today! 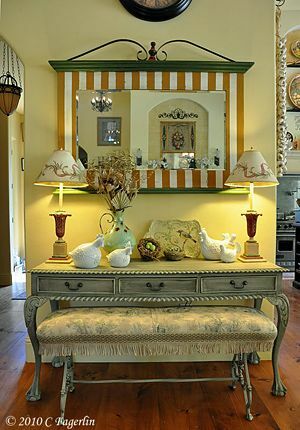 This is put together so well, and so inviting! I feel like I am ready to sit right down! Love those mushrooms. You pulled the colors together just perfect! Oh, I love the mushrooms you used! What a great touch! Thanks for coming by ladies and for your lovely comments! 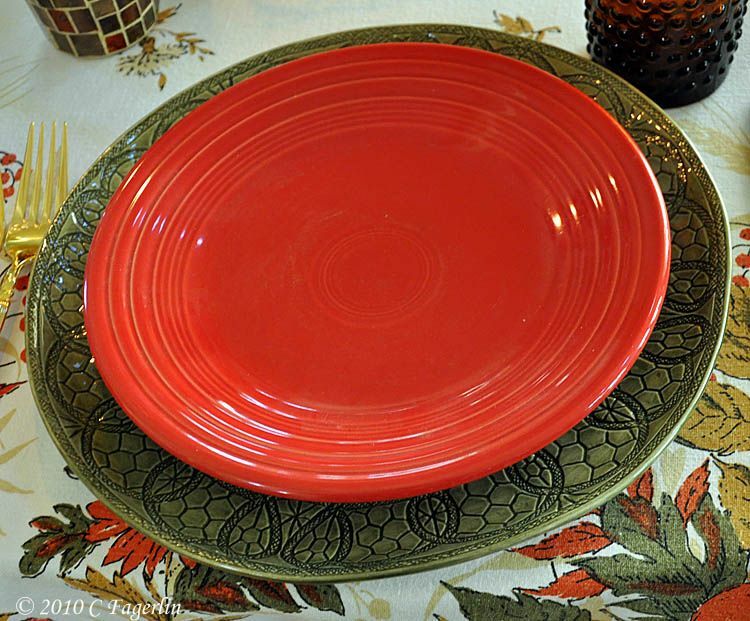 Hope you'll stop by and check out today's tablescape for Tabletop Tuesday and again for one that will post for this week's Tablescape Thursday.